RonnieChristian.com: Misusing the Word "Hate"
The last straw came with the uproar over the nomination of Joni Eareckson Tada’s song “Alone Yet Not Alone” (from the movie with the same name) for an Oscar. 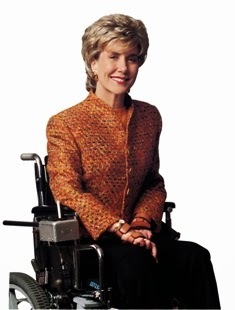 For those who don’t know who she is, Joni is a quadriplegic, paralyzed from the shoulders down, and is confined to a wheelchair. She has become an accomplished painter using a paintbrush with her teeth, and has authored more than forty books. She is also a Christian. The nomination has received numerous negative reactions that have nothing to do with the song. It has to do with the fact that she is a believer and the song is tied to a faith-based film. As I said, this was my tipping point. The word hate used to mean just that – hate! Nowadays it means anyone who disagrees. Even worse, it means anyone who is a follower of Jesus Christ. I must say that the using the word “hate” or “hater” in this way is shrewd. It brings to bear every volatile emotion against those who have been labeled “haters” – even if they're not such, but just simply disagree. It cuts-off at the knees the word “admonishment” – which means to address, to confront, to challenge, to stir. I don’t hate someone just because I disagree with them. Actually, it might be a demonstration of my concern. To label someone a “hater” (just because they disagree) is to take a very powerful word and dilute it, then misapply it.